In other sections of ajax-zoom.com website, you can find much information about AJAX-ZOOM and the ways of integrating / installing the software. In this blog section, we are treating individual topics that do not fit within the scope of the documentation or for which a new AJAX ZOOM example is not necessary. The AJAX-ZOOM axZmThumbSlider thumbnails- and content slider is a component that extends the default functionality of the zoom-viewer. It is part of the download-package. The manual handling is the same as for most jQuery plugins. Within AJAX-ZOOM core, this component is used for vertical, horizontal and inline thumbnail galleries. The slider is also used in other AJAX-ZOOM extensions such as the hover on zoom extension. In this post, you can see some various implementations of the slider and find the complete documentation about the options and the API methods. This article aims to shed light on the structure of the AJAX-ZOOM configuration system. In particular, it is about the files in which you can set options, as well as places where you can override them. As an experienced developer, you can easily derive this information by viewing the AJAX-ZOOM configuration files, the provided examples, and by reading the documentation. Upon many requests, however, it looks like there is a need for a holistic and detailed explanation of the topic that anybody who is willing to understand can understand after reading it. That should include non-programmers as well. So let's give it a try. While adapting AJAX-ZOOM, developers often ask the question about adding non-standard HTML elements to the AJAX-ZOOM viewer. That is not complicated, and many AJAX-ZOOM examples and Extensions take advantage of that procedure within the initialization code by using the AJAX-ZOOM callbacks/hooks. In this blog post, this procedure is described in great detail separately. It is also helpful for non programmers. There are several objects, where the back is not very interesting, or it is just impossible to photograph them from the back side. As an example, one can mention a wall-mounted washbasin, a fireplace / stove or a shelf. In this article, you will see some examples and description of the associated AJAX-ZOOM option that enables incomplete 360-degree rotation. 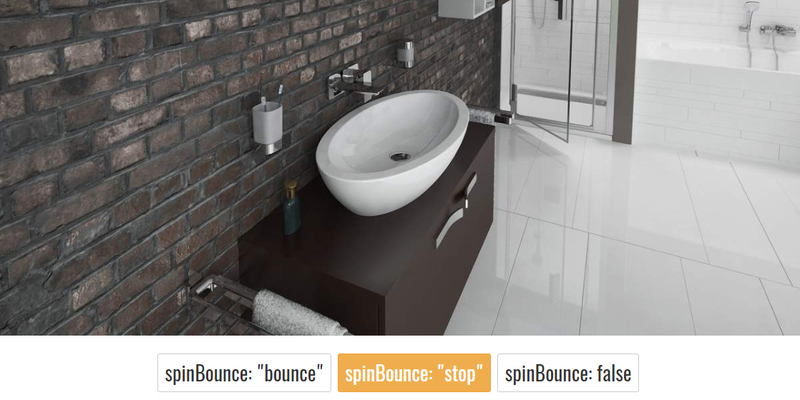 How many photos are needed for a 360° product spin? People often ask us about the number of photos (frames), which they need for a simple 360 rotation. This question is asked even by customers, who already bought a set for the 360° product photography. Unfortunately, there is no clear answer to this question. 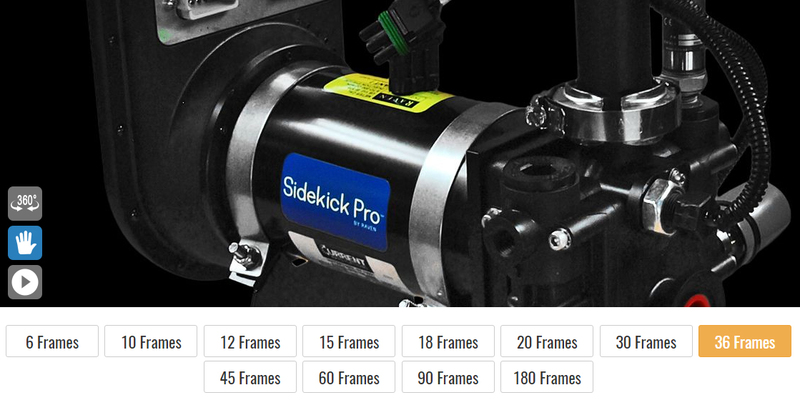 To visualize the difference, in this article can to switch stepwise between 6 and 180 frames for a standard 360-degree product spin, experience the gap and make a decision. The paper provides some additional information for consideration. Whether VR glasses or anaglyph glasses. The principle behind is the same and is not new. Two images of the same object are taken from a slightly different angle and constitute the basis for a three-dimensional view effect. The goal is to imitate the distance between human eyes. While viewing, these two images have to be displayed separately for each eye either side-by-side in a box or combined into one image with color separation. The spatial representation is then "summed up" in the brain. The combining method with color separation requires only cheap glasses with color filters in them. In this experiment, 72 double images of an object were taken from around the object in equal steps. In the article, the result presents in the AJAX-ZOOM 360-degree player. AJAX-ZOOM was initially developed as multi-resolution image player with image tiles technology. However, in the past, it had some drawbacks regarding the overall handling compared to traditional image viewers. Now, when all those disadvantages no longer exist, AJAX-ZOOM undeniably evolved to one of the best 360 image players on the market. 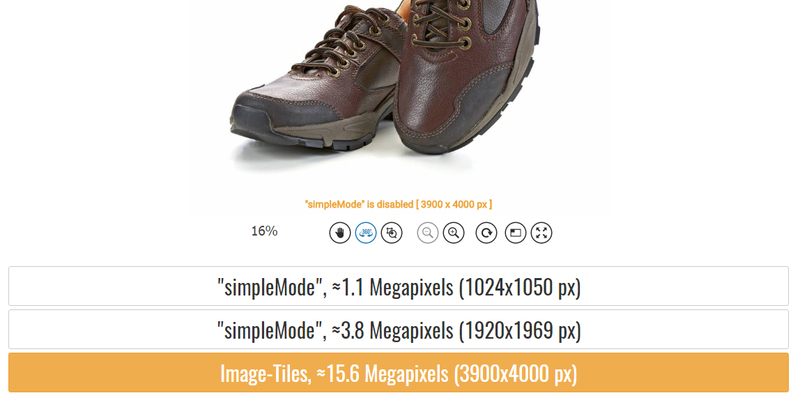 With the new "simpleMode" option, you can now use AJAX-ZOOM also without image tiles technology for low-resolution images having the advantage of almost all other AJAX-ZOOM decent features like hotspots, "360 product tours", API functions and endless options to adjust the look and feel.